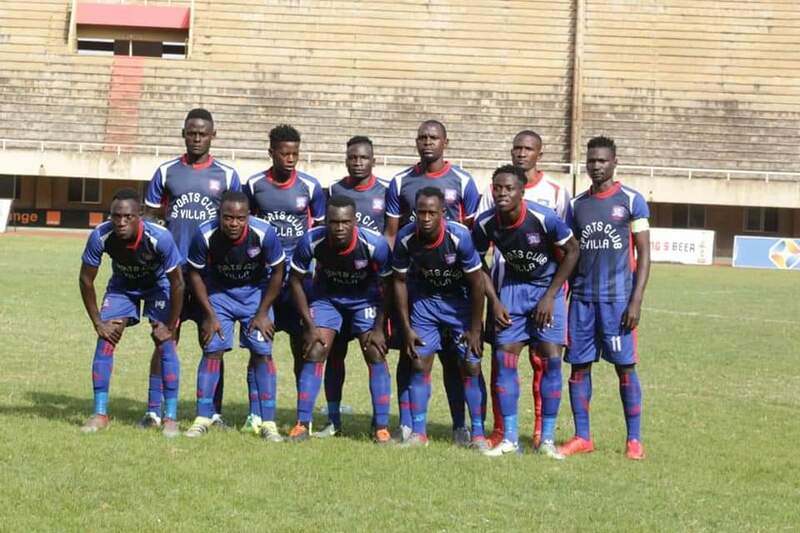 NAMBOOLE – SC Villa will be hoping they can kick-start their StarTimes Uganda Premier League season when they travel away to URA FC. The Jogoos had a near to disastrous first round, winning only two of their first 15 games and consequently sit only a spot away from the relegation zone. In the mid-season break, they made 13 signings as they attempt to fend off relegation fears, early and hopefully finish in a respectable place on the standings. Against URA, they face a side that is so capable of causing them issues despite still being without head coach Sam Simbwa who is suspended. “It will be a really tight affair, recorgnized Villa coach Douglas Bamweyana ahead of the game. “URA is very well organised and gives little away but as Villa, we have every intention to quiet and unlock them for the result we need. Villa are expected to be without the suspended Charles Lwanga. Returning left-back John Adriko is also a doubt for the game after suffering a knock in training but the rest of the team is fit to feature. Bamweyana will hope Bashir Mutanda can continue his first round goalscoring exploits that saw him bang in 10 in 15 games. For URA, despite losing only one game in the first round, the Tax Collectors failed to convert most of their games into victories. Simbwa’s chargers drew a League high 10 games and won only 4, form that sees them currently occupy 7th on the log. Their main issue was putting the ball in the net and the acquisition of Cromwel Romwothio from Paidha is one targeted and improving their goal scoring. Both sides use Mandela National Stadium as their home ground and in the first game this season, they drew 0-0. Saturday’s game will be the 18th time the two sides meet since April 2011. In the past 17 meetings, URA has won 5, Villa 4 and also seen 8 draws. The reverse fixture last season ended 0-0. URA have not beaten Villa in any of their last 5 League fixtures (D3 L2). Going into the fame on Saturday, URA have lost only one of their last 20 games in all competitions (W6 D13). Their only loss in that period came at the hands of leaders KCCA FC earlier this month. At home, they have lost only 2 of their last 16 competitive games (W7 D7). For Villa, the go into the game winless in their last four encounters (D2 L2). Away from home, the Jogoos have won only one of their last 14 fixtures (D9 L4).